Connect Google home to homey? For iOS there is a (Assistent) app for the Google Home. You can find the app in the app Store as "Google Home". This is the Assistent app for the Google Home and Google Home mini. Both Home and Assistant installed on my phone. Same behaviour. If I ask "Let me talk to Homey" the response is "It looks like your Homey account is not linked yet." Then I get a "Link Homey to Google" link. Clicking that link dims the screen on my phone for a second, but no linking happens. My solution was to install the google assistant app back again on the phone. There i deleted the homey account. I then deleted again the google assistant app and connected the homey account on google home app. That worked for me. Have you tried before to connect the homey account to your google home account? Maybe another way. Maybe that way the account is still active and when you try to setup another homey account the google home app don't let you. By me the google home app said:"Link" like it was possible to connect the account, but the same thing happend (Dim screen and then nothing). 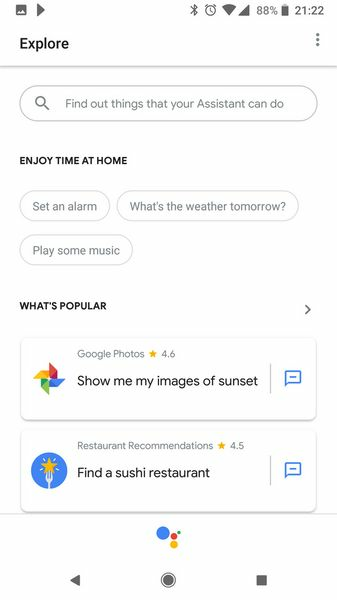 Bij the google assistant app (that is part of google home app, but it is also possible to install it separate) i saw with the standalone assistant app:"Unlink". After giving unlink it was possible to connect to google home app. Sad to hear it didn't work. Hope that for somebody this would help or give a good direction. I had the same issue, linking Google Home mini and my Homey. Language all English and US region on iphone and Homey, but no Homey visible. Then I installed Google Assistant on my iPhone by creating a new Apple ID with country USA and no billing-details. Logging out my iTune Store and App Store user and logging in with this new US Apple-ID made it possible to download Google Assistant on my iPhone. When opening Assistant on my iPhone and type/say 'talk to Google' still the same issue. But ... on the top-right-corner there is a blue circle which links to options. 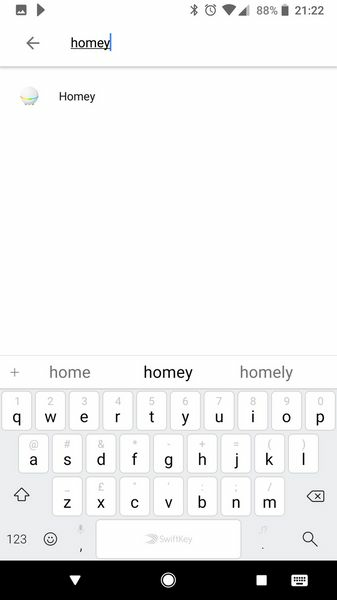 In explore you can type 'Homey' in the field 'find things your assistant can do' and it showed Homey finally. I found I somehow already was linked, to unlinked and relinked and voila .. all worked! Have been chatting with Google Home support for 2 hrs this night, but still unable to link the accounts. Have now a New Samsung Galaxy Note 8, and have tried my Wife's Iphone 7 with my account details. Still behaves as my old Note 4. Could not get past the link card in the Home app. Anyone from Norway that have linked their Google Home with Homey? Ref also my question on the Google Help Forum. Started Google Assistant on my phone (Not Google Home). Selected the blue menu item om top right. Searched for Homey and selected result. On the Homey info screen I could scroll down to Account Linking and select unlink. Now I could ask my Google Home to talk to Homey, and the linking process in the Google Home app worked as it should. 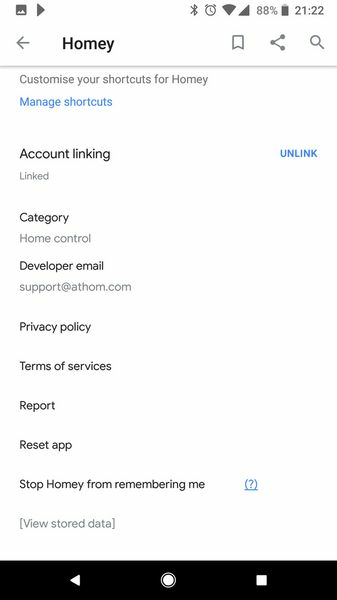 Anyone knows if Athom is planning on upgrading the Google Home service like they finally did with the Alexa skill? Added my comment/vote on Github.
. I found I somehow already was linked, to unlinked and relinked and voila .. all worked! Since the Alexa Smart Home Skill has been released, i was wondering will something like this be released for google too? How annoying! Tried everything and could never get it to work. But finally got it. Went to the Home app and changed from English (UK) to English (US) on devices "phone". I recently had the same problem when I couldn't connect 2 differens accounts to my google home. Then I had to go to the home app and change to English (US) on devices "Google Home". No idea where you see a top right corner blue circle in the Google (or Google Home) app on iPhone? Did u open Google Assistant? Recently Google has added the function broadcast. 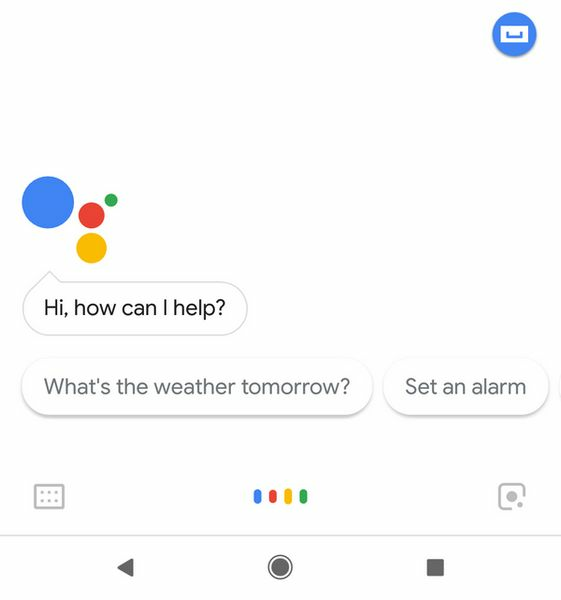 So you can use GH as an intercom using google assistant. Is there a way to use this in a homey flow? Any idea about how to get this working without the Google Assistant app? As described in one of my walk throughs, you should log out on your iPhone from the Dutch App Store and connect with the US App Store. Google and you find how to do this and download the Google Assistant app. I hope it it works for you. I'm able to get Google Assistant to provide the "Link Homey to Google". But when I type in my username and password the webpage (Android Chrome) just reloads and nothing happens. When I use a different browser I get a long "error message"? Someone who has experiences the same issue and/or can give me some good advice? 4.) On this page scroll down until you see "account status"
After you have done this you will be able to connect your Homey again. Have already tried this, but thank you for you instructions. Can't understand why this is happening, because I have never had any problems to login thru the any other app. Since a few days my google-homey integration stopped working, when i ask something like, tell homey to open the bedroom shades, it says it is not linked (was before) when hitting the link button a popup opens (screen turns grey) and without showing anything returns to the assistant, restarted the phone, restarted homey, no luck. OK, found solution: even though Google assistant tells you you are not linked, the link is still there and you need to unlink and then you can Link it again. So in assistant app press the top right button, search for homey and SCROLL DOWN, to where you see "link". Press unlink, and link again, done. I can't find homey in google assistant. I use the italian version, can be related to this? I've both used in app explore (https://assistant.google.com/explore/search?q=homey) and the account settings for smart home. ATM I've smartthings and it's in smart home setting menu. I see the blue icon you describe, but when I tap on it nothing happens. 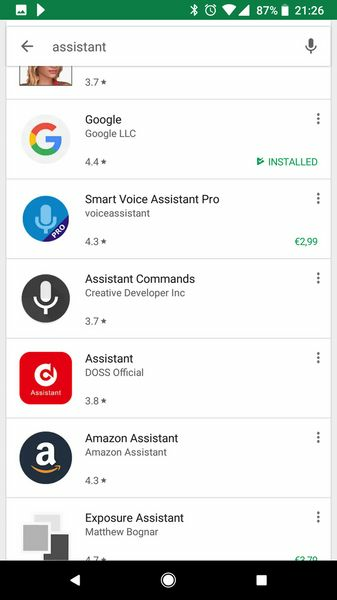 Tried installing an older version of the Assistant app, but no luck. Any other ideas? Does anyone has a clear step by step walk through how to connect a Google Home (mini) to homey? - installed the mini in my house wifi network etc. It listens to my commands. - install Google home app on my android phone. - say "hey Google, let me talk to Homey". did you restart Homey after setting to English? I typed "Homey in the search bar. And then finally the Homey login screen opened and I authorized Google to connect to homey. Hope this will help others too!! @JPe @ericr90 and @skler and others.